The film presents the adventures of an eccentric inventor, Wallace and his intelligent but silent dog, Gromit. They have to rescue the residents of a village attacked by a mutated rabbit. Tottington Hall’s annual Giant Vegetable Competition is approaching. The winner of the competition will win the Golden Carrot Award. All the people want to protect their vegetables from rabbits until the competition. Wallace and Gromit are helping them with a vegetable security business, “Anti-Pesto”. But they have two problems: the first is Wallace’s weight and the second is inadequate space for the captured rabbits. Wallace comes up with an idea — use his Mind Manipulation-O-Matic machine to brainwash the rabbits, so then they can run freely without destroying the gardens. But the plan goes wrong and soon it appears a “Were-Rabbit”, a giant rabbit-like monster which eats vegetables of any size. Tasks after watching the film. – Summarize in 8 to 10 lines the story of the film. 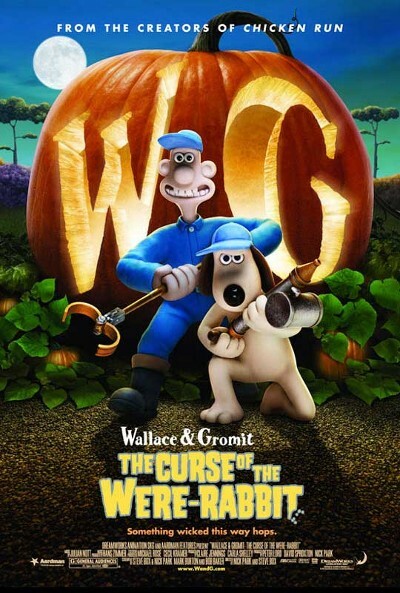 – Wallace is the character that turns into a rabbit. Can you think of any other character to be the giant Rabbit? Who? Why? – Do you like the film? Why? Why not?